Products can be packed into their packaging in a number of ways. 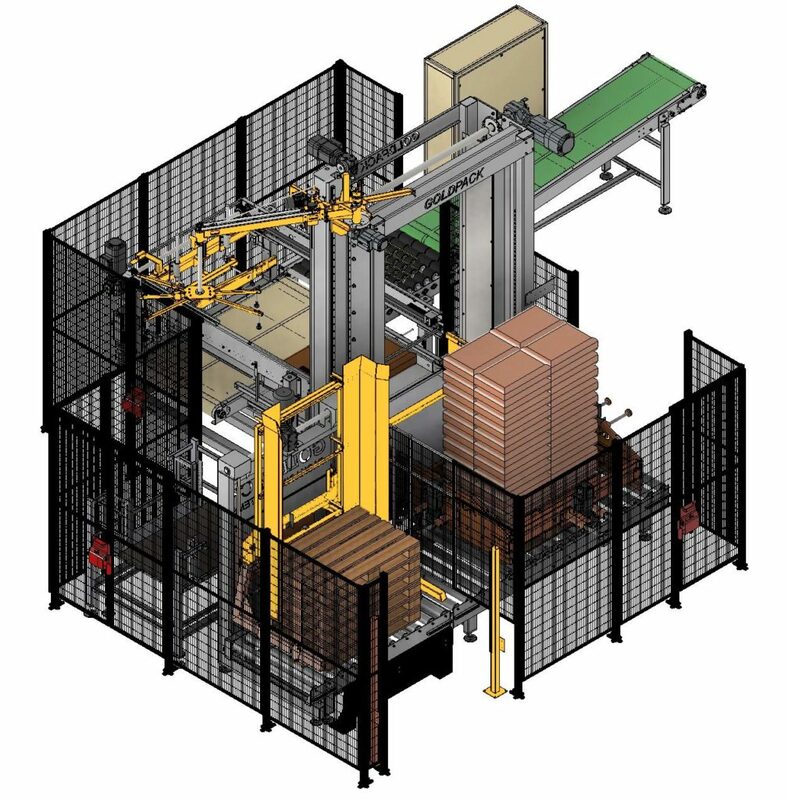 To do so efficiently, various parts of the packaging line needed to properly execute their tasks in order to pack the product into wanted packaging. Goldpack provides custom solutions to pack your product in the desired configuration. We produce palletizers as well as depalletizers. 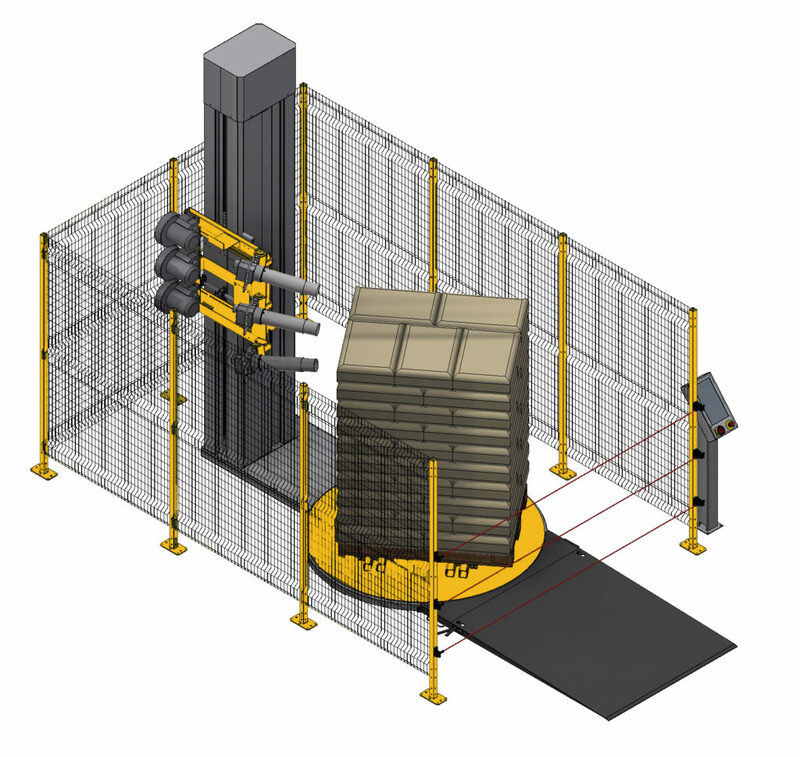 Palletizer is a machine which provides automatic means for stacking cases of goods or products onto a pallet. With palletizers working place is employee friendly, furthermore, working with palletizers is time and cost efficient. Our palletizers need minimal maintenance and are easy to operate due to the user-friendly operating system installed in the palletizers. 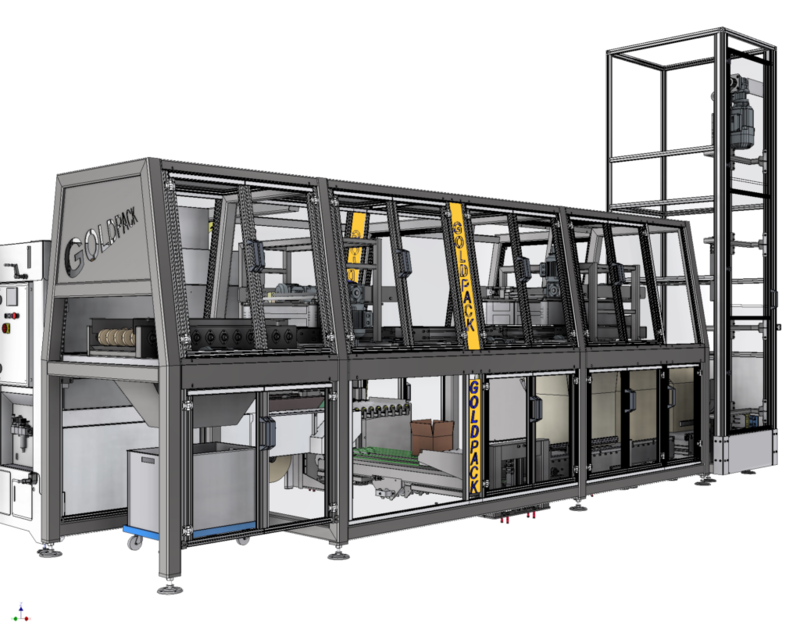 Additionally, palletizers as well as depalletizers can be incorporated into packaging line, manufactured by Goldpack. In Goldpack we also manufacture automatic stretch hood and wrapping machines. Automatic stretch wrapping machines are usually used in higher volume applications, from 20 pallets per hour to up to 120 loads per hour being wrapped. In comparison to semi-automatic stretch wrapping machines, automatic stretch wrapping machine, need no operator intervention during the cycle. Usually, loads are brought to the automatic stretch wrapping machine on a conveyor belt, where from the automatic stretch wrapper can automatically begin wrapping of the products. Stretch hood on the other hand, is the solution to handle unstable loads. Even the most prevalent types of damage to loads; such as shifting, ripped or loose packing, crushing, water damage and infestation, can be minimized by using the right unitization technology. Semi-automatic stretch wrapping machines, which are also manufactured by Goldpack, are mostly used for handling low-volume applications with fewer than 20 loads per hour being wrapped. With our great team of experts, we constantly deliver outstanding results for our clients in many different industries. We manufacture packaging lines for different industries worldwide. Our palletizing lines can palletize various of different products – from food and beverage to paper, oil, glass and wood. But not only that, our packaging lines are also used in construction and tobacco industry. All of our packaging lines are equipped with latest technology, which ensures smooth packaging process. Our skilled project-management teams will take your project smoothly through all phases – from the very beginning to completion and naturally, within the scheduled timeframe.